Sennheiser PXC 360 BT review | What Hi-Fi? 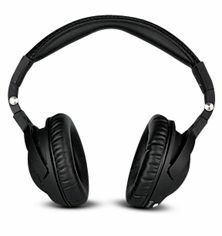 Like the PXC 310 BTs, these Sennheisers have aptX Bluetooth, noise-cancelling and built-in controls. Unlike the 310s, they also have an SRS surround mode. Unfortunately, it adds hiss, so we’d leave it off. The 360s, while still decent, sound a bit thin and do little else to justify the extra money over their more compact siblings.